An overview of all Netflix Independent Films movies and series. 180 titles were found. Four Cleveland teens dream of escaping inner-city poverty and becoming pro skateboarders, but a car heist puts them on the radar of a local queenpin. During the War of 1812, two Native Americans and their British ally are pursued into enemy territory by American soldiers thirsting for revenge. A drug dealer starts having doubts about his trade as his brother, his client, and two rappers from the slums each battle their own secret addictions. A nanny is hired by a couple to look after their boy. She's shocked to learn that her charge is actually a doll that the couple treats like a human. After serving time for a crime he didn’t commit, a 38-year-old man forms a complicated, life-altering bond with the woman who advocated for his early release. Married yuppies try to "find themselves" by opening up a trendy L.A. clothing store and drifting between self-help gurus who are anything but helpful. 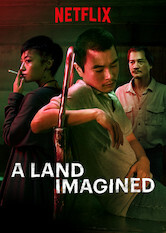 When a cop kills the brother of an expat American gangster who runs a Bangkok fight club, his crime-boss mother flies in to supervise revenge. Struggling writer Wally Spivak is stuck in a rut -- until he meets an engaged couple and starts to see life in a whole new way. Unable to pay bills and unwilling to change his slacker lifestyle, twentysomething Aaron hatches a defrauding scheme when he finds a lost credit card. A director and a comedian want to shoot the "comedy of the future" and make cinema history, but soon run out of resources and run into mission creep. A terminally ill man's self-imposed exile is interrupted by a fortuitous miracle and a clash with his eccentric, meddling neighbors. A former medical student battles for survival against an evil human-zombie hybrid determined to destroy her, in this reimagining of the 1985 classic. Forced to live with her grandparents in New Jersey, a combative teenager concerns her family when she strikes up a romance with an ex-con line cook.